At last the dust has settled. After the landslide victory of the Coalition of Hope led by the former Prime Minister, Mahathir Mohamed over the incumbent National Front under the leadership of Najib Razak, the Malaysian government finally terminated the Facilitator's contract . The ex-Inspector General of Police , Tan Sri Rahim Noor was named the new facilitator in early August 2018, amidst the protests by some Malaysian politicians and Patani activists , based on his previous 'unfavorable' record in Malaysian politics some twenty years ago. Tan Sri Rahim Noor, now at 75, is a no-stranger to Thailand. 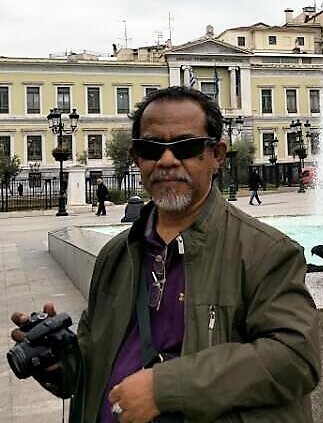 Being the Malaysian top security officer at one time, he had an excellent working relationship with his counterparts in Bangkok. He was notably known for his significant role in the Thailand mediated Malaysia - Communist Party of Malaya(CPM) peace talk that brought an end to the communist struggle way back in 1989. In the complex situation as the southern conflict, whether the Tan Sri could outperform his predecessor as the facilitator of the dialogue process remains to be seen . While Mr. Zamzamin was dubbed as Najib's man , the Tan Sri is no doubt a trusted person of Mahathir. However, he only has two years at his disposal. Mahathir has earlier agreed to hand over the helm to Anwar Ibrahim after two years. The animosity between Rahim Noor and Anwar Ibrahim in the previous Malaysian political landscape was well-known . Bangkok welcomed his appointment while uncertainty clouds over the status of its Chief Negotiator, General Aksra Kerdphol. Will he remain or be replaced too ? There were strong indications that some off-table communication was underway between Kuala Lumpur and Bangkok to determine the suitable person that can get along well with Rahim Noor. Could it be General Akanit ? If the rumors are true, then the entire Thai dialogue team might get an overhaul . Thus far, MARA Patani has had two sessions with the Tan Sri, an introductory and an explorative meetings. The cards are being laid on the table and the ups and downs of the previous dialogues were thoroughly discussed. He made known his serious intension to facilitate the dialogue and how he would do that in such a limited time frame. He would be in Bangkok in due course. As for MARA Patani , one of the problems that always haunts its components was the inclusiveness of the liberation movements. The BRN military wing has not formally joined the dialogue table, making the prospect for cease-fire difficult, if not impossible, to initiate. The proposed Safety Zones implementation agreed upon at the last meeting in April 2018 was put on hold ( see : https://deepsouthwatch.org/th/node/11829 ). The initiative and effort by the new facilitator to invite the remaining BRN to join the talk, making the inclusiveness 100 per cent, is on-going. If they do come, then the scenario and the direction of the dialogue will be revised altogether. The process can walk across the confidence building stage to the next level. A well-planned cease-fire is anticipated with an agreed road map for achieving peace in the region being drafted by both parties . Then peace negotiation can kick start. Now that the light at the crossroad has turned green and the impasse is almost six months. It is up to the 'refreshed' dialogue parties and the new facilitator to resume the talk, navigating along the tortuous pathway of the fragile process towards a peace agreement within two years.